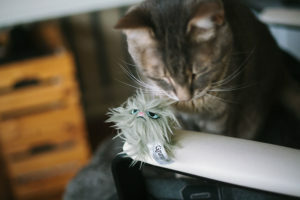 Today, gear yourself up for another episode of “cat things I can’t have because I live in an apartment!” This week, of course, (because I’m sure you’ve already read the title!) we’ll be talking about outdoor cat houses. 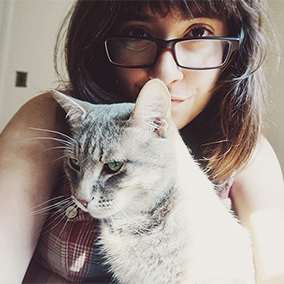 New to this blog? Let me fill you in. Yes, I have done this type of thing before. 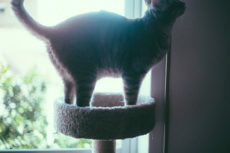 I spoke plenty about coveting cat things I’m unable to buy because of space restrictions last month when I did a post about massive cat trees/cat jungle gyms I wished I could get for Avery. I’m still obsessed with those, but enough time spent on Pinterest now means my sights have been set on yet another facet of cat “stuff” that for the life of me I cannot possibly make room for in this studio flat; and that of course is these ready built cat homes that are, in my opinion, adorable and oh-so-cozy looking beyond words. Again, if you don’t know this blog, you might think I have cause to covet outdoor cat houses like this, but considering I have an indoor cat, always have, and likely always will – nope, there’s not much reason to want specifically *outdoor cat houses. Doesn’t matter though, covet I will and as soon as I get a house, these options are pretty much all on the table. That’s right, don’t put it past me to put a cat house or two quite literally built to be outside in my own home. These kitty abodes are indeed too tempting and way too good looking for me to pass up, even though they’re way overbuilt for any kind of indoor life, and thus not at all meant for an house cat pet parent like me. Anyway, let’s get into this so I can explain to you why I’m so obsessed. Look at this thing. It’s legitimately gorgeous – at least in my opinion. 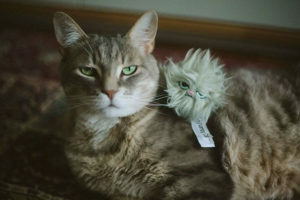 How could I not want it for my cat, even if he is a house cat? There’s no doubt in my mind he’d use it either, as this whole cat house business is definitely the kind of thing my lazy kitty would love introduced into his home. A little too overbuilt for indoors? Of course the answer is yes, but I know Avery would really dig using both levels of this outside cat house – and that little ladder for cats to jump on is much too cute for me not to be charmed. If I grabbed this for indoor use, I’d probably do some sort of DIY with the asphalt roof and the little door covering. 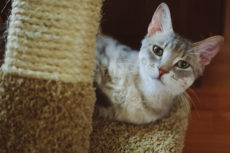 Maybe covering them in fleece or some other fabric, so Avery could use the roof as an upper level and the door covering as a little sitting spot to his hearts content. 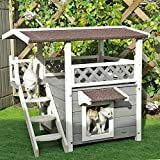 There’s a version of this cat house that has a scratch pad rather than a ladder, and though I love the look of that ladder to bits, I would probably end up going for the scratch pad version if I grabbed this, since I’m very sure he’d get crazy use out of it. 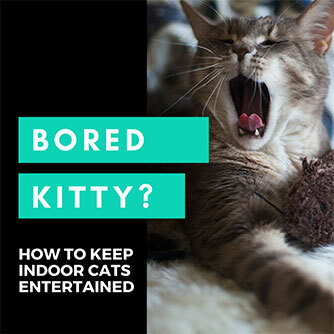 Either way, hard to imagine this wouldn’t be welcomed wholeheartedly by my indoor cat! A cuter version of a small cat tree is how I see it! 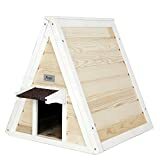 Now, this one you might think I’m barking mad for even considering putting inside, but I’ve seen a number of indoor cat house DIYs that actually resemble it a little bit, and they all look like they’d be so much fun for an indoor cat to use. Reminds me a little of this Doctor Who DIY Tardis Kitty Home I’ve seen circling around Pinterest, except obviously much bigger and not at all Doctor Who related. I love the idea of having something like this in the corner of a kitchen, living room, or even in a hallway. Being frank, I think it looks a bit like a cat cuckoo clock, especially if I had a kitty who loved to hang out in that middle portion. I think a massive, private cat house like this would be the perfect place for any cat to get away and get some zzz’s in, especially if you’ve got multiple cats who don’t always get along with one another. I’d probably custom paint it to go with whatever furniture I have in the room, but from top to bottom, I think it’s perfect. Obviously, it’d be flawless for outdoor use, too, especially if you’ve got outdoor cats and a pretty small garden. Yes, making the most of small spaces has never left my mind since moving into a studio flat! Not the easiest cat house on the eyes, but I know Avery would kill to have this. 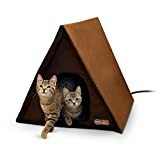 Cozy triangle cat home with electricity heated floors? He’d for sure love it. And it’s small enough for me to put in even this little apartment. 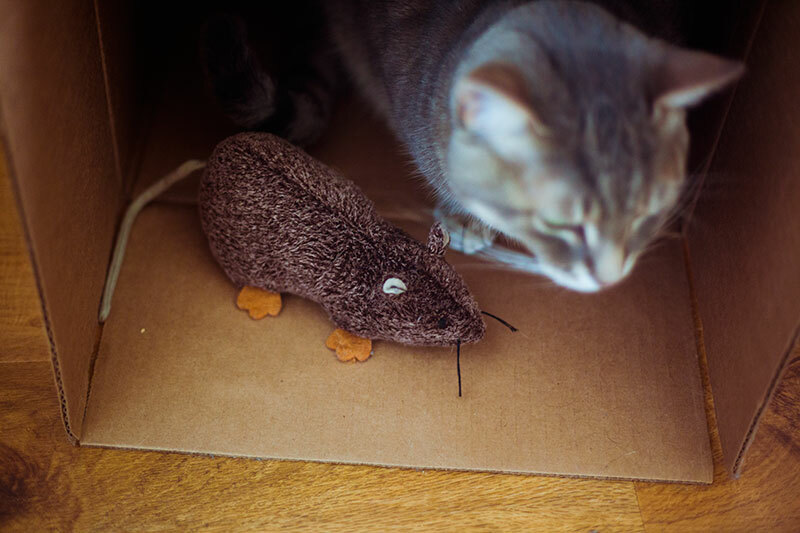 Yes, I feel a smidgen compelled to buy it for him. Especially since it’s available on Amazon here in the UK. Not as nice a price tag as it has on Amazon.com, but it’s reasonable considering how much use I’m sure he’d give it. Though frankly, I’d really prefer an alternative as comfy looking for a cat that’s a little more matchy-matchy with our furniture (which is all black, white, and pine). Can’t really imagine staring at that brown all day, even though I know Avery would love for me to get my hands on it for him. No, I would not put this inside. I’m crazy, but not that crazy. Still doesn’t mean I can take my eyes off it. One of the few items on this list I would absolutely kill for. As an indoor cat owner, I’d be inclined to connect it to a window and turn it into a catio somehow. If I managed to do that, I think Avery would kill to use it as much as I’d kill to have it. That height, those shelves, all that fresh air! I can imagine sitting outside with Thomas on the patio, him smoking his pipe and me reading a book while Avery’s hanging out with us in this thing. Not currently available in the UK by the looks of it, but hopefully by the time I move to a house, it or something similar is! Then there’s this Trixie alternative to the previous design. 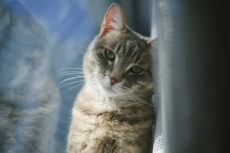 Don’t let the first stock photo deceive you, this cattery/outdoor catio is enclosed, you just have to look at the other pictures to realize the first is overexposed and doesn’t show that so well. I don’t know which I’d go for if I had to choose between the two, since I love the first one for the shelves that line it, but this one has a physical home/hideaway portion that looks crazy amazing. 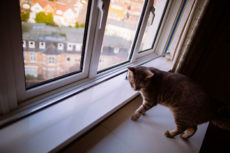 Either way, got plenty of time to decide since it’d be a little difficult for me to get a catio attached to the windows of my current home (an apartment on the 7th floor!). 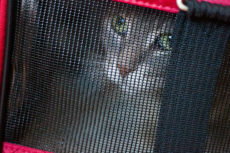 I mean, how could anyone tell me this wooden tent looking cat home doesn’t appear remotely viable indoors? I absolutely adore this pet house and honestly am considering getting it ASAP for my current flat. I don’t think Avery would like it quite as much as the FrontPet A-Frame I was talking about considering getting from spot #3; it doesn’t look quite so cozy, but I am so ridiculously infatuated with the idea of how this particular cat house would look with my all white/black/pine furniture that it may just push me over the edge. If I can find it for a good price and in this specific non-painted colour option here in the UK, I really think I might grab it. I am pretty overwhelmingly swayed by aesthetics when it comes to cat furniture, I know that for a fact. Even went so far as to grab the Modkat Litter Box (albeit the hefty price tag!) specifically because of how good I thought it would look with my furniture (turned out perfect!). 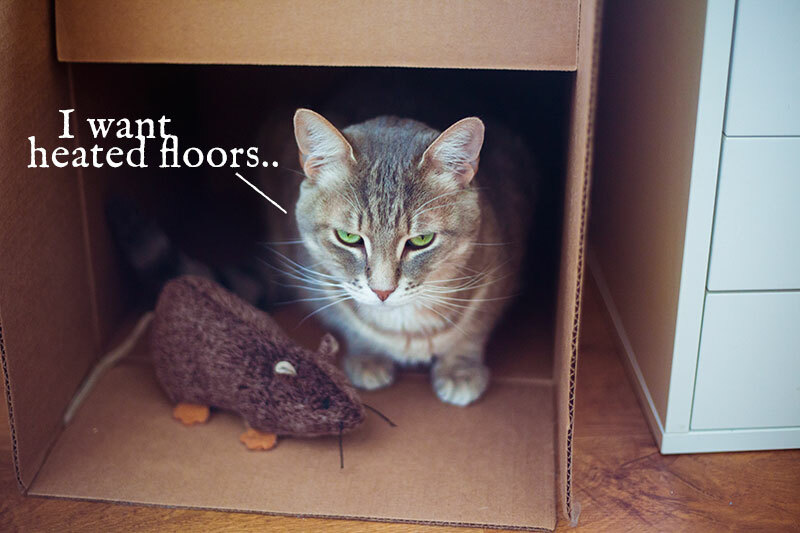 Still to this day don’t regret that decision – adore that litter box! Not even going to lie, I would 110% put this log cabin styled outdoor pet home into my own house. I think its aesthetic is flawless, and as I’ve just mentioned, I’m really swayed by aesthetics when it comes to pet furniture. Would make an adorable little man cave for my Avery. Can imagine lining the bottom with his favourite blankets and the pet pillow my husband’s grandmother made him for Christmas last year. Could imagine hacking the roof of it a bit so the top is flat and pillow covered and I could use it as a seat for we mere humans. Obviously, I’m getting ahead of myself because it’s not quite small enough to fit in our current space (and I’ll be honest, I sort of prefer the big one if I’m going to be grabbing anything of the sort), but one day, I think I will get my hands on this one or something similar. Could imagine it matching perfectly with the type of furniture I’d choose to use in an office, and this would be the perfect place for Avery to retreat for a nap while I type away at my computer. 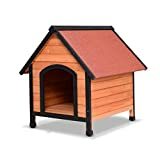 The most traditional, “dog house” style pet house on this list, but I love it. Some things just stand out to you as pretty looking and this is one of those items for me. Small enough to have in a kitchen, which is where I’d place it if I were to get it for a house. 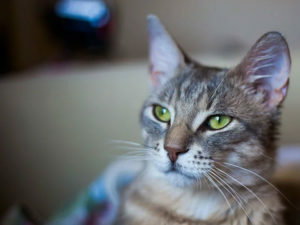 I think I’m just obsessed with the idea of having multiple “retreats” for my cat (or, let’s be honest, if I were living in a house that’d be cats* plural already), one in each room maybe. And I just don’t think indoor cat houses look as pretty as ones designed for outdoors because I have (obviously) got a thing for real wood. Could see myself plopping this one up on a window seat so Avery can have a nook right next to what I’d use as a reading space. Looks like a more convenient version of #3, that’s a little more attractive as well. Would consider getting this if I had my brother over here in the UK, as if I were to take Avery over to his house to be catsat while we’re on vacation for a week or so, I’d take this over to his house to drop off with Avery so that Avery could have something he loved from home. 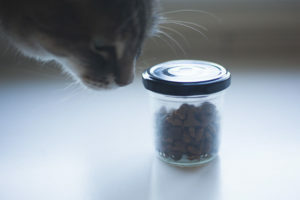 Looks really easy to put up and take down, which I’m guessing would be extremely useful in cases where outdoor cat owners would like to frequently move around an outdoor cat house for their pets. Maybe to keep things interesting or to transfer to light areas as the sun moves around to different spots in the garden or front yard. Looks almost like a pop up shelter in terms of ease of assembly to me. This is definitely one of the few items on this list I would never consider using indoors. Taking into consideration its aesthetics, I think it would only really be nice to have outside. 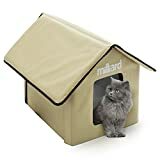 If I ever found stray or feral cats loitering around my neighbourhood that I wanted to give some shelter to, this would 100% be the first cat house I’d think to grab. Looks ever so large, warm, and snug considering it appears to be insulted quite well. If I was keeping it at the end of a large garden, and thought it might not get very frequent use considering it’d be for strays and ferals and not my own cats, I likely wouldn’t be able to or really want to run a cord to the house for an outdoor heater or an outdoor heating pad, so I’d want the cat house to be as insulated as possible. I think this would do the trick quite nicely, and would be very easy to clean (just a simple rinse over with the hose), if it got muddy on the inside or out. Such a happy looking cat house! 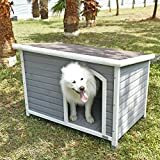 And no, not just because of the smiling dog in the promo shot 😉 While I love that this one is gorgeous enough to use indoors, this is also one I wouldn’t hesitate to use outside to keep strays and feral cats dry and warm, especially since you can get an insulation kit for it. I’d imagine with the insulation kit it would manage to do the trick in terms of keeping a cat warm outside in the winter probably as well as the last one. If I had a specific look I was going for in my garden and this fit well into it, would definitely chose it over the last option for a furniture addition that would help out strays and ferals in the neighbourhood. 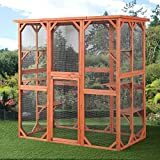 Your Thoughts About Outdoor Cat Houses? Okay, time for you to take to the comments to tell me if you think I’m crazy. 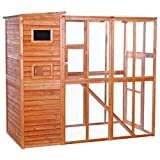 Would you ever grab an outdoor cat house for indoor cat use, even though they’re usually more expensive than indoor cat houses, and they’re obviously overbuilt to a point you would never need for cat life indoors? 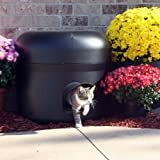 Do you agree that outdoor cat houses are prettier than indoor ones? Or do you find there some indoor cat houses that are pretty enough and I’m just a little too obsessed with the whole real-wood aesthetic? 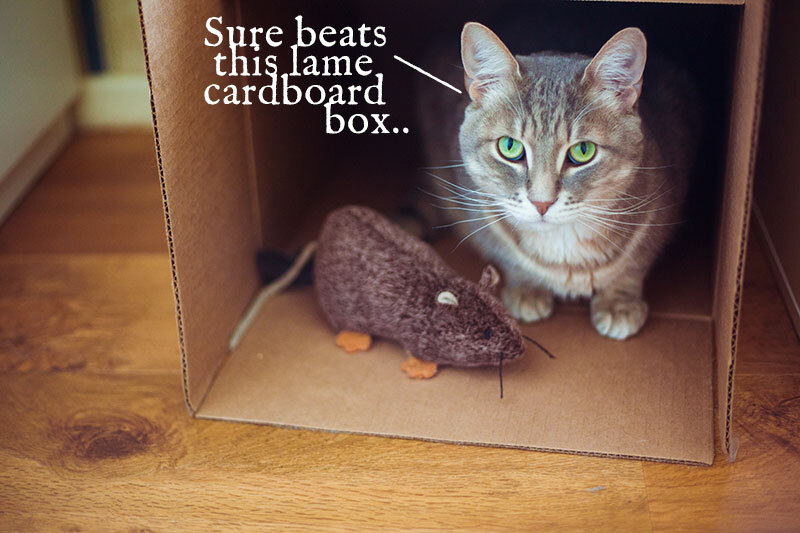 If you have outdoor cats – have you ever bought or DIY’d a cat house to put outside? 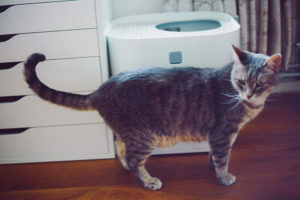 Do you live in an area that gets harsh enough winters to be very concerned about insulation and heating, and if you are, have you ever had an outdoor cat house your kitty has actually been happy to use in the winter? I know a lot of outdoor cats who don’t even put more than a paw out the door before they’re back in if they happen to step on snow. those are all great! We are like you, we have a condo in an apartment building so we can’t have any either. Love the ones you selected! Thanks! Can be a hard knock life wanting all this awesome cat stuff but knowing you can’t get it while you’re in a condo/apartment building! Sometimes I feel like cat owners in houses don’t realize how lucky they have it! We have 3 insulated houses for our ferals, they are wood construction but dang, nothing that fancy! Would love to see some pictures. 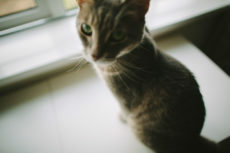 Will rummage through your blog to see if I can spot some shots of your feral cat houses! For our friendly ferals, we’ve built one wooden, insulated cat house using a plan from Alley Cat Allies. Then, a co-worker mentioned that the wood crates that the office warehouse gets from time to time could be fashioned into a really great cat house…and immediately I got a crate and made a 2-floor Cat Hotel, with wind breaks and porches, and insulated up the whazzoo. We’ve painted everything to match our house, and the average person wouldn’t notice our cat houses, which is GOOD. However, wood will get icky when in the rain and snow, so the Kitty Tube appeals the most, but only if more than one cat can enjoy it. Your set up sounds fantastic! I wish I was DIY-capable, would love to be able to make a two floor hotel for kitties; I don’t think I could manage even with instructions. Wood does get icky, especially with the snow and ice. The Kitty Tube for sure would be a great solution to that, and I have a feeling it’d be the warmest in terms of insulation.